Children between the ages of 6 months and 8 years who are receiving the influenza vaccination for the first time require a booster vaccination at least 4 weeks after their initial influenza vaccination. Because of the novelty of the 2009(H1N1) influenza virus, which is again expected to circulate in 2012-2013 and is included in the current trivalent vaccine, only children who received 2 or more doses of influenza vaccine since July 1, 2010, should receive 1 dose this year. This ensures that children who have previously only had 1 exposure to the H1N1 antigen receive a booster. New intradermal preparations of the influenza vaccine include a dose of 9 µg of hemagglutinin per vaccine virus strain with an indication for adults 18 to 64 years old, and a high-dose vaccine featuring 60 µg of hemagglutinin per vaccine virus strain for patients 65 years and older. The ACIP does not recommend one form of TIV vaccine vs another. The intranasally administered live-attenuated influenza vaccine is indicated for healthy, nonpregnant persons between the 2 and 49 years old. There is generally no preference for live vs inactivated vaccines among this age group, although persons with a history of egg allergy should receive the inactivated vaccine. Febrile seizures have an overall prevalence of 2% to 5% among children. The 2010-2011 influenza season was remarkable for the first time in that the influenza vaccine was associated with a higher risk for febrile seizures. This risk was limited to children between the ages of 6 months and 4 years, and it occurred during the 24 hours after receipt of the vaccine. Concomitant administration of the PVC13 vaccine increased the risk for febrile seizure associated with the influenza vaccine. Reports of a higher risk for febrile seizures associated with the vaccine Afluria have led the CDC to recommend against the use of this specific product among children younger than 9 years. Among persons with a history of egg allergy, those who report only hives after exposure to eggs may receive TIV, provided that the healthcare practice is familiar with the potential manifestations of egg allergy and can monitor the patient for at least 30 minutes after administration of the vaccine. Measures such as splitting the vaccine into 2 separate injections or skin testing with the vaccine are unnecessary among patients with egg allergy. If clinicians wish to administer the influenza vaccine to patients with more severe symptoms of egg allergy (ie, anaphylaxis), they should refer these patients to an allergy specialist for consultation. Predicting the predominant circulating strain of influenza B in a given year is a challenge. Therefore, several quadrivalent influenza vaccines are being developed, including a live attenuated vaccine. Oseltamivir deve ser prescrito e o tratamento deve ser iniciado tão logo possível para pacientes que possuam os sintomas graves da doença. Dependendo da resposta ao tratamento, doses superiores a 15o mg, duas vezes ao dia, podem ser utilizadas. Esta recomendação é direcionada para todos os grupos, incluindo recém-nascidos, mulheres grávidas e crianças menores de 5 anos. 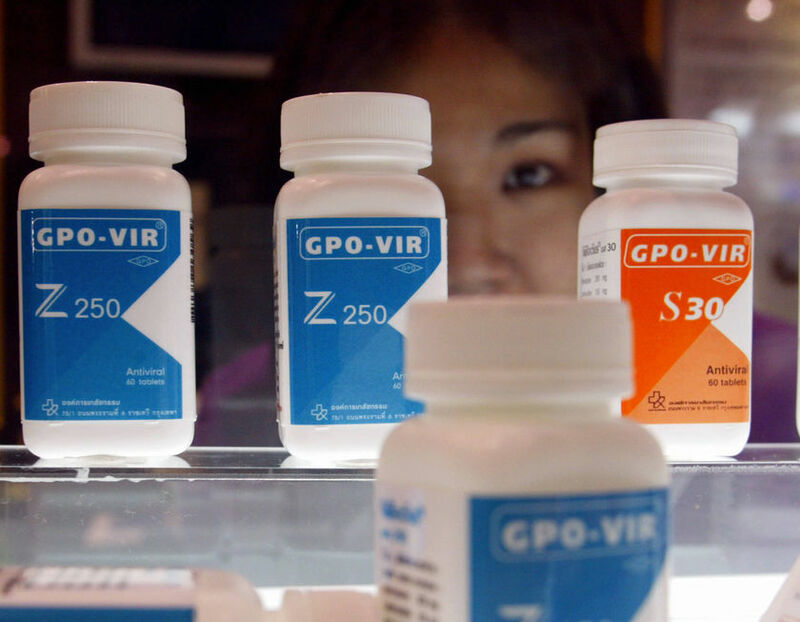 Zanamivir é indicado para pacientes com sintomas severos de H1N1, quando o Oseltamivir não estiver disponível ou quando não puder ser utilizado ou ainda quando houver resistência a Oseltamivir. O tratamento antiviral não é recomendado em pacients que não pussuirem os sintomas graves da H1N1 ou que não pertencerem a grupos de risco, mesmo com diagnóstico provável ou confirmado da doença. Fazem parte do grupo de risco crianças menores de 5 anos, mulheres grávidas, adultos com mais de 65 anos, profissionais de saúde (especialmente enfermeiros de homecare), pacientes com co-morbidades crônicas, incluindo problemas cardiovasculares, respiratórios, hepáticos ou diabetes, imunossuprimidos, HIV positivos, entre outras co-morbidades. pacientes dos grupos e risco devem receber oseltamivir ou zanamivir tão cedo quanto possivel assim que os sintomas forem percebidos, antes do surgimento de complicações. A pesquisa da Universidade de São Paulo (USP) entra na lista de um arsenal poderoso de técnicas que surgiram nos últimos anos para controlar o diabetes tipo 1. Outro destaque são os medicamentos conhecido como análogos: drogas criadas a partir de alterações genéticas da insulina feitas em laboratórios. Com eles, é possível evitar o sobe e desce repentino da glicose, o pesadelo dos diabéticos. O tratamento com essa medicação combina dois tipos de análogo. O primeiro serve para aumentar o nível da insulina no sangue por um curto período de tempo, e é indicado para os momentos em que a glicose está elevada por motivos como estresse ou por causa das refeições, que costumam ser críticas para os portadores da doença. O segundo análogo tem um efeito mais prolongado, e é aplicado apenas uma ou duas vezes por dia. Com o uso em conjunto dos dois, os níveis de glicose ficam mais estáveis. – Graças aos medicamentos, é mais fácil controlar a glicose no sangue. Os pacientes diabéticos sempre se preocupam em manter os níveis em dia, com uma alimentação rigorosa, na quantidade certa e na hora certa. Com os análogos, a rotina não é tão rígida e o dia a dia deles torna-se mais agradável – explica a endocrinologista Helena Schmid, professora da Universidade Federal de Ciências da Saúde de Porto Alegre (UFCSPA). Clinicians, especially primary care providers, are faced with an estimated 20 million Americans diagnosed with diabetes and approximately 1.5 million new cases each year. Often these patients have comorbid conditions that only further reduce their long-term heath. The goal of any diabetes therapy is to reduce complications associated with the disease with minimal side effects. Michael Blaze, PhD, Scientific Director, Medscape, LLC, interviewed Jens Holst, MD, to discuss some of the challenges that both patients and providers face when moving beyond traditional insulin therapy and into the newer, incretin-based therapies for diabetes management. Dr. Holst is currently Professor of Medical Physiology at the University of Copenhagen, Copenhagen, Denmark. His research team is among the first in the world to describe and find glucagon-like peptide (GLP)-1. Incretins and GLP-1 have continued to be the focus of his research. Medscape: Can you comment on the efficacy of using incretin-based therapy for achieving optimal glycemic control in patients with type 2 diabetes? Dr. Holst: Two things here are important to note. First, there are 2 strategies for employing incretin-based therapies: One is the DPP-4 [dipeptidyl peptidase-4] inhibitors; the other is incretin, or GLP-1 mimetics. With GLP-1 mimetics, you give the patient what you want. The dose is in the hands of the provider, who determines the efficacy of that treatment. The limitation, however, is the side-effect profile. If you give too high a dose, then you have problems with nausea eventually leading to vomiting. This limits the kind of dosing that you can reach, at least with the current GLP-1 mimetics. With the DPP-4 inhibitors, once you have achieved maximal enzyme inhibition, there is nothing more you can do. The result is an elevation in the concentration of active GLP-1 by a factor of 2-3, significantly less than the elevations brought about by the GLP-1 mimetics. This difference is also the most likely reason why the GLP-1 mimetics may cause weight loss whereas the DPP-4 inhibitors are weight-neutral. However, it has been demonstrated in a number of trials that DPP-4 inhibitors have an efficacy that is pretty similar to most oral antidiabetic drugs. For instance, in a 2-year comparison between vildagliptin and metformin, the efficacy was a little bit better with metformin, but the difference was very small. In similar studies comparing other antidiabetic drugs, such as sulfonylureas and thiazolidinediones, the DPP-4 inhibitors have had equal efficacy with respect to lowering A1C [glycated hemoglobin]. Data comparing the efficacy of the different incretin mimetics have been a little bit more difficult to generate. The reason is that some of the studies have shown large decreases in A1C levels, whereas other studies have shown smaller decreases in A1C levels. The most important parameter we have right now is how many [patients] achieve their set A1C goal level. Most clinicians set their patients’ A1C level at 7%. Ongoing trials have succeeded in achieving this goal in a rather large number of patients. In addition, values above 50% have been reached several times, which I consider to be quite good. The ultimate efficacy for the GLP-1 mimetics and for the DPP-4 inhibitors should be viewed in terms of disease duration or perhaps severity. There is a lot of evidence to suggest that the earlier you can start therapy in patients, the higher the percentage of them will have very good glycemic control, and you will have a higher percentage of patients reaching goals at whatever level they are set. I should also add that researchers who are developing GLP-1 mimetics have been interested in following the side-effect profiles that limit patients reaching glycemic control. Data collected to date suggest that the different agonists are not significantly dissimilar, rather they are very similar with respect to side-effect profiles. Albiglutide, which is a fusion protein between 2 GLP-1 molecules and albumin, has apparently — from the data we have right now — a side-effect profile that also includes nausea. Medscape: Speaking of the side-effect profiles with these therapies, are there any specific side effects that really should be of concern for clinicians? Dr. Holst: Currently for the GLP-1 mimetics, the real concern is acute pancreatitis. Actually, this is, to date, only an association that has been brought forward by various groups, although the FDA [US Food and Drug Administration] has issued a warning after 30 cases had been collected, and it is now in the label of exenatide. It is, however, still not clear whether there is a true association between incretin mimetics and the frequency of acute pancreatitis. What is becoming clear is that the frequency of acute pancreatitis in the type 2 diabetic background population is somewhat higher than it is in healthy subjects, about 2- to 3-fold higher. The frequencies of acute pancreatitis in patients who received GLP-1 mimetic treatment do not seem to be any higher than they are in the background population. Currently, I think that the associations between the therapy and acute pancreatitis are not very striking. In addition, we do not understand the mechanism for this effect, so it’s not entirely clear that there really is a risk for pancreatitis. However, because this issue has been brought up, all you have to do is keep an eye on it and collect all of the cases that you can to evaluate this. Apart from the pancreatitis issue, there is not a lot to say about the GLP-1 mimetics, all of them have a problem with nausea, and perhaps vomiting in a few cases. The different preparations of these drugs differ somewhat with respect to the tendency to cause these side effects. It’s clear now that the long-acting GLP-1 mimetics — here I include liraglutide — are less prone to have this effect than the short-acting ones (those based on exendin-4). There may be other differences as well. Although nausea is a real side effect for the GLP-1 mimetics, it usually subsides with time in most patients. Approximately 15% of patients taking liraglutide experience some form of nausea in the beginning of the treatment, which then subsides to values that are really indistinguishable from placebo groups. Nausea remains apparent longer and in a higher proportion of patients on exendin-based therapies, or with exendin-4 twice daily, however. The GLP-1 mimetics fall into 2 main groups: those that are based on exendin-4 and those that are based on the human GLP-1 molecule. Those that are based on exendin-4 generate antibodies in a rather large proportion of subjects who receive them. These antibodies do not appear to be a major clinical problem or a major efficacy problem. However, it’s a concern that when you treat people with something that is antigenic, that could lead to additional problems. Apparently, from the clinical experience we have so far, the incidences are very rare. Regarding the DPP-4 inhibitors, the safety databases are still expanding, both for vildagliptin and for sitagliptin. The more people who enter these databases, the less side effects there seem to be. What was previously reported as a slight but still significant increase in some infections, namely, nasopharyngitis and urinary tract infections, have all but disappeared from the safety databases. It appears as if these associations are no longer real. The side-effect profiles of the DPP-4 inhibitors are surprisingly good. Medscape: Are there any associated treatments or therapeutic approaches effective in reducing the nausea often exhibited in patients taking a GLP-1 mimetic? Dr. Holst: There’s no doubt that some patients develop nausea, and a very few get intolerable nausea. However, the dropout rate in these studies due to nausea has been low, and often, prokinetic drugs (eg, metoclopramide) can be used to alleviate these problems. Medscape: Is weight gain or loss an issue that needs to be considered when selecting an incretin-based therapy? Dr. Holst: In both of these therapies, one of the major characteristics is that they don’t cause weight gain. This is of course in contrast to insulin therapy and sulfonylurea therapy. The DPP-4 inhibitors are generally described as being weight-neutral, and some studies have indicated a small decrease in body weight. That is already quite a good feature because, as I said, other antidiabetic drugs, except for metformin, are invariably associated with weight gain. That’s exactly what you would expect if you lower blood glucose. The loss of glucose with the urine is stopped, and that amount of calories is retained in the body as body weight increases. For the GLP-1 mimetics, most patients will experience weight loss. Here we are talking about weight loss of ~5%. This a very important feature of the incretin mimetics: that they can actually make people lose weight. Again, there’s a dose-response relationship. In my mind it would be important to find appropriate doses for the patients; however, manufacturers often prefer to have simple administration regimens, with simple dosing and single doses more or less for everybody. However, they do have this incredibly important effect, and it undoubtedly contributes to the clinical efficacy, the improvement in metabolism, and improvement in insulin sensitivity. Medscape: Are there some common barriers to patient acceptance when using incretin-based therapies, ie, social, economic, or patient education issues? Dr. Holst: This again is dependent on the 2 main groups: the DPP-4 inhibitors, are tablets (ie, sitagliptin is taken once a day or if you combine it with metformin, taken twice daily), and the GLP-1 mimetics, which must be injected (either once a day, liraglutide; or twice daily, exenatide). This causes some inconvenience, of course. All of the GLP-1 mimetics so far are injectables, and that is of course a problem. If you have to take it twice daily, then you have to bring the material — the drug — and there may be problems with transportation and getting it there, which is an additional problem. Either approach doesn’t really present nearly as much of a problem as injecting insulin. With insulin, it’s not really the injection that is the problem; it’s the fear of the actions of insulin. Here you have something that is comparatively more innocent. All that can happen — and it doesn’t happen in most patients, and at any rate decreases with time — is nausea, really. There’s no risk for hypoglycemia or passing out; it’s completely different from injecting insulin. Clearly, once we get to — if they ever get to the market, but I think they will — once-weekly GLP-1 mimetics, then this problem will be reduced so much that it can be considered a minor issue. [In the near future], if things go well, of course, there will be completed phase 3 studies with teduglutide which is a once-weekly preparation, and albiglutide, which is also a once-weekly preparation. Novo Nordisk will come out with a once-weekly preparation, and Amylin [Pharmaceuticals, Inc.] and Eli Lilly [and Company], together, will probably release exenatide LAR [long-acting release], which is also a once-weekly preparation, so that will be exciting to see. Medscape: Do you believe that there is a real need for patient education concerning the use of these new therapies? Dr. Holst: It’s much easier with incretin therapy than with insulin. Not only is the patient afraid of insulin, but the doctor is also afraid, and that’s why insulin therapy is quite frequently not very good: It’s not very efficacious because they’re simply afraid to give too much. These injectable incretin therapies are completely different in this respect. In the case of administering liraglutide, the device is likely to be very smart: The needle is thin and is prefilled (does not require resuspension); all you do is push a little button and it does the administration itself. You can’t feel it, and there are no side effects that you have to fear. You don’t even have to measure blood glucose because it doesn’t cause hypoglycemia under any circumstances. There’s no monitoring to do. It’s very simple. If you forget to take it in the morning, then take it in the evening; it doesn’t matter. Actually, it doesn’t really matter if you skip a day. That’s because with liraglutide, which has a very long half-life, you build up to a plateau so that you have a depot in the body. It is going to be very easy for clinicians to teach patients to use this. With DPP-4 inhibitors, again, they’re just a tablet that you take, and again they have very few side effects. There’s nothing to be afraid of in terms of hypoglycemia or side effects. It’s going to be very easy to prescribe such a drug for patients. I should mention that it’s only in combination with sulfonylureas that you have to at least be on the lookout. Many people recommend reduction of a sulfonylurea dose when you combine them with an incretin-based therapy because there is a small risk for hypoglycemia, but only in that combination. Medscape: What is the ideal point in the disease state at which you would initiate the use of incretin-based therapies? Dr. Holst: I have to say that I’m extremely biased because I’ve been working with them now for many years, and I’m somewhat enthusiastic. I know, however, that the sooner you start treatment, the better the results will be. I’m really positive with respect to getting started very early with the DPP-4 inhibitors. I’d really like to see some studies in which diabetes prevention is studied, because I think that here you may have the best function of these DPP-4 inhibitors. Otherwise, they’re extremely easy to use. You just give the patients these tablets and then things will get better. Perhaps not sensationally better, but they will get better, so everybody can be happy about it. If you have elderly, frail patients, it’s so easy to propose to them, “Why don’t you try this?” because it’s so easy. Medscape: When treating specific patients with complications, ie, elderly patients or those who may be frail, are there additional complications that clinicians must be aware of? Dr. Holst: So far there are no known complications associated with diabetes that require special treatment in terms of using incretin-based therapies. There are currently no problems with renal failure. I know that the big cardiovascular studies are yet to come. However, things look very good, if you look at the databases or the meta-analysis of the various phase 3 studies available. There’s a theory regarding cardiovascular effects to support an assumption that it actually might help. On the other hand, once we are talking about patients with many complications, it’s usually patients who have had a very long-standing disease. If you cannot get to target with incretins, which is a possibility with these patients whose insulin secretory capacity perhaps is very low, then it is possible — right now it’s not approved, of course — to combine both the DPP-4 inhibitors and the GLP-1 mimetics with basal insulin. That may turn out to be one of the very best treatments of patients with long-standing disease and patients who are difficult to treat. Again, however, this combination has not been approved, although it is something that should be looked at much more in the future, and will be, I know. Medscape: Do you have any final thoughts or recommendations to the healthcare community concerning the use of incretin-based therapies for patients? Dr. Holst: The most important aspect is the potential ability of incretins and DPP-4 inhibitors to protect beta cells. The problem here is that so far none of the manufacturers have come up with a real prevention-type study. What we really need is a study, such as the well-known ADOPT (A Diabetes Outcome Progression Trial,) in which beta-cell function was studied for over 4 years during therapy with different antidiabetic drugs. The reason we need this is that these drugs — in particular, perhaps the GLP-1 mimetics — have the potential to protect beta cells. There is a possibility that you can really do something radical to the patients, namely, to save whatever beta cells remain. Experience so far has been a little bit disappointing with respect to whether you can actually generate more new beta cells, although this is one of the potential actions of these hormones. However, that’s something that really needs to be addressed. So far, there are no big studies under way, although some clinical studies with vildagliptin were planned. It seems that everybody is busy with cardiovascular outcome studies these days. Further study is extremely important, because this will tell us whether incretin-based therapies can really modify disease progression or cause of disease. Some of these therapies have demonstrated potential; however, more data are needed. One final point I would like to make is that the GLP-1 mimetics, and perhaps also the DPP-4 inhibitors, are associated with interesting effects on the cardiovascular system, and this is something that will continue to be investigated. There appears to be increasing support for the idea that the GLP-1 mimetics demonstrate beneficial action, and I think this is extremely important. The FDA is now putting great emphasis on the cardiovascular safety of current and newly developed antidiabetic drugs. Fortunately, incretin-based therapies have the potential to be very good in this respect. It will be very interesting to see [how the data develop] in the coming years.